Sudden Cardiac Arrest (SCA) is the #1 killer of student athletes and contributes to the #2 medical cause of death under 25. SCA is the leading cause of death on school campuses. The biggest misconception about SCA is that “it just happens” and there’s nothing you can do to stop it. The truth is that sudden cardiac arrest is preventable, but that doesn’t happen by chance. Part of the problem is that most people don’t know what SCA is. Or, that it’s a natural cause of death. But there’s absolutely nothing natural about a child’s heart that suddenly stops beating. The Prevention Promise is a national call to action designed to educate and empower caregivers and communities to raise awareness, practice prevention and be prepared to save a life. Know your family heart history and ask your child about symptoms that could be warning signs of a heart condition. Heart screenings for early detection of risk factors that may lead to SCA and being prepared for a cardiac emergency saves lives! Champion widespread, accessible AEDs throughout campus, CPR/AED training for staff and students and Cardiac Emergency Response Plans. Demand life-saving protocol at camps, sports and youth programs. That means AEDs where youth practice & play and SCA training for adults. Make SCA prevention a standard part of well-checkups and sports physicals. Discuss risk factors, warning signs and getting a heart screening. 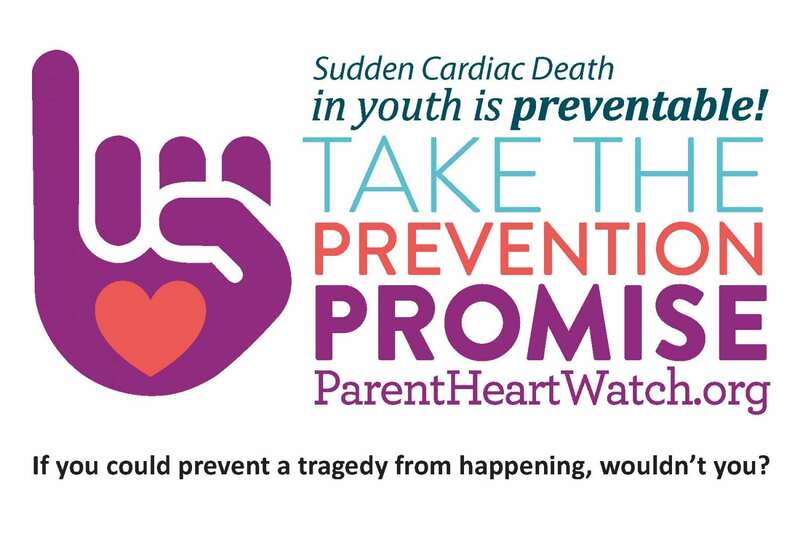 Parent Heart Watch engages youth, parent, education, sports and medical communities in SCA awareness. We provide free educational tools and resources that help them make prevention a priority and create a culture of preparedness in their home, at their school, on sports teams and anywhere youth congregate.